Polyhymnia has always been at the forefront of new audio developments. 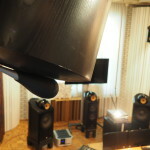 Surround sound, SACD, DSD, high-resolution file formats…. No surprise then that we are very excited by the possibilities that Auro-3D (the new immersive 3D audio format by the Belgian company Auro Technologies) offers. 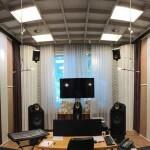 Our colleague Karel Bruggeman is very experienced with the Auro-3D system, having worked with it at Galaxy Studios in Belgium, so we asked him to implement an Auro-3D system for Polyhymnia. After two days of planning, a couple of trips to the hardware store, and some renovations, Lauran and Karel have installed an Auro3D set-up in studio 3. 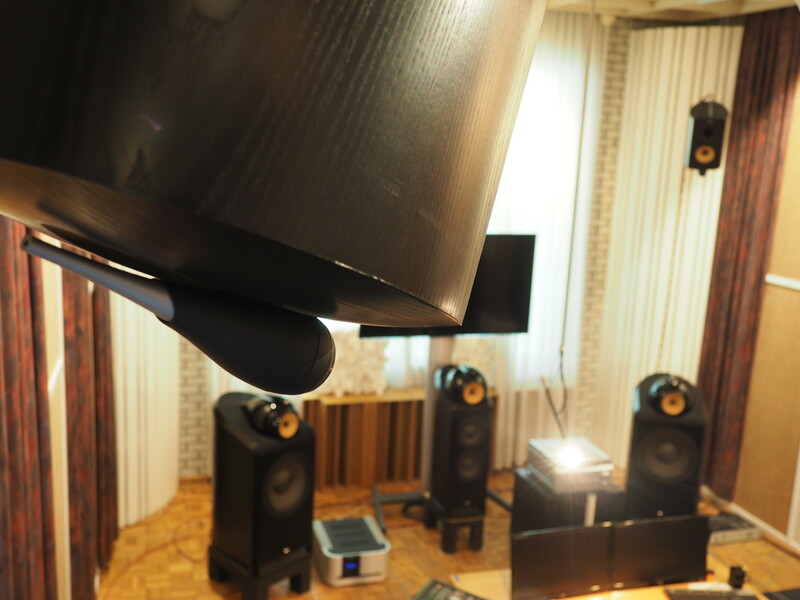 It is a 9.1 set-up with B&W Nautilus speakers: 800 for left and right, 802 for centre, left surround and right surround and 805 for the height layer. After some tweaking and gain adjustments, the fun has already begun. We have been listening to some Auro-3D-compatible recordings we made recently, including the Concertgebouw Orchestra and the Berlin Philharmonic Orchestra, where we added extra microphones for a height layer to the usual microphone set-up. The result is very promising and will help us much more realistically reconstruct the natural acoustics of a concert hall. Together with the DSD and DXD recording technique, this is truly a unique new listening experience. This new set-up does not only open new doors of opportunity for the classical music recording world, but is a great asset for scoring and pre-mixing film music and game scores, where Auro-3D really adds an extra dimension to the story. We can’t wait to apply this technology to future projects!